AP’s projects Farsons New Brewhouse and Barrakka Lift have been shortlisted for the World Building of the Year Award. The awards will take place at the World Architecture Festival in Singapore from 2-4 October 2013. Winners will be selected from across 29 categories. Farsons New Brewhouse has been shortlisted in the Production/Energy/Recycling category and Barrakka Lift in the Transport category. 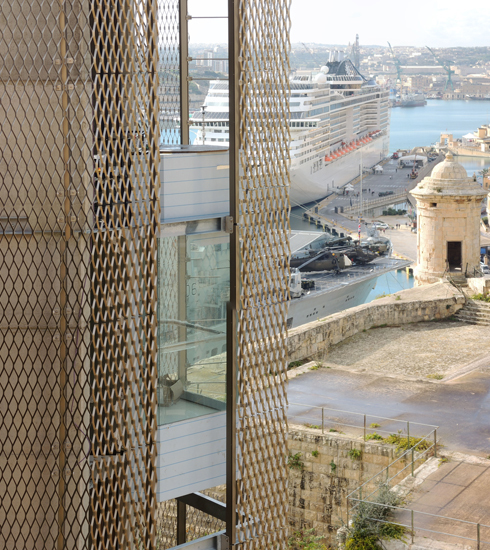 Although Barrakka Lift was not entered into WAF’s sister competition the INSIDE Festival, the judges found the project to be so strong that they entered it into the final of the INSIDE Awards themselves. Barrakka Lift, therefore, will be competing in both festivals this year. Winners of each category will be announced during the festivals, plus one project will be named World Building of the Year.